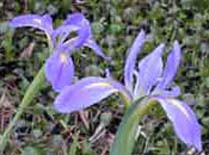 The giant blue Louisiana irises of the Gulf Coast are among the best recognized native plants. 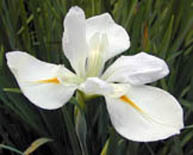 Louisiana's freshwater marshes and wooded wetlands historically provided the most extensive conditions suitable for this iris, and they grow in profusion where their habitat has been maintained. It is an April tradition to trek from New Orleans a few miles South to the Jean Lafitte area to see the masses of blue in the swamp. Across the southern part of the state, there is wide appreciation that the iris bloom is a special thing. 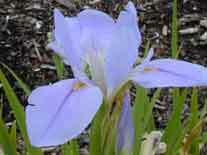 What is now in the City of New Orleans once consisted of fields of wild blue irises, as well as some fulvas. Development has left them without a hospitable environment save on the outskirts. In Louisiana, beyond a line 20 or 30 miles north of New Orleans, only a few vestiges of this species are found in local wetland areas. Outside Louisiana, giganticaeruleas are found in coastal Texas and Mississippi. In a Cypress swamp in the Town of Jean Lafitte. Attakapas Swamp Tours. 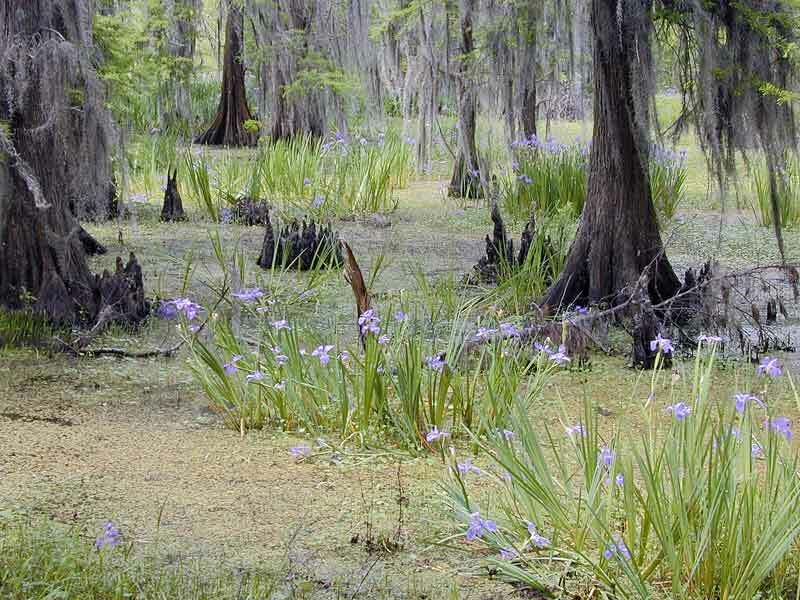 This not an iris site, but it has great pictures of the swamp in the vicinity of Lake Verret, a system of waterways west of Napoleonville and about half way between Lafayette and New Orleans. Lake Verret is a shallow lake with stands of beautiful cypress trees along its shoreline. Iris giganticaerulea is abundant. The swamp pictures on the site are excellent, and a couple of the iris pictures are exceptional. Browse the site, or go directly to the iris pictures: iris one (this is a "wow" picture, iris two (even better), and iris three. These are large pictures for a web site but worth the download time.